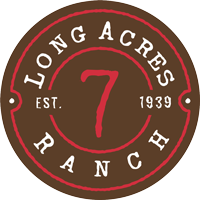 The Long Acres Ranch Ambassador Volunteer Program will be established to allow volunteers opportunities to gain education, and achieve personal development, and leadership skills while being part of the larger purpose and mission of the Ranch. The Ranch offers a unique and exciting opportunity for volunteers to participate in this mutually beneficial partnership by providing youth assistance, program support, lessons, and logistics. As Ranch programs develop, the scope of volunteer opportunities will emerge, so check back for more details.